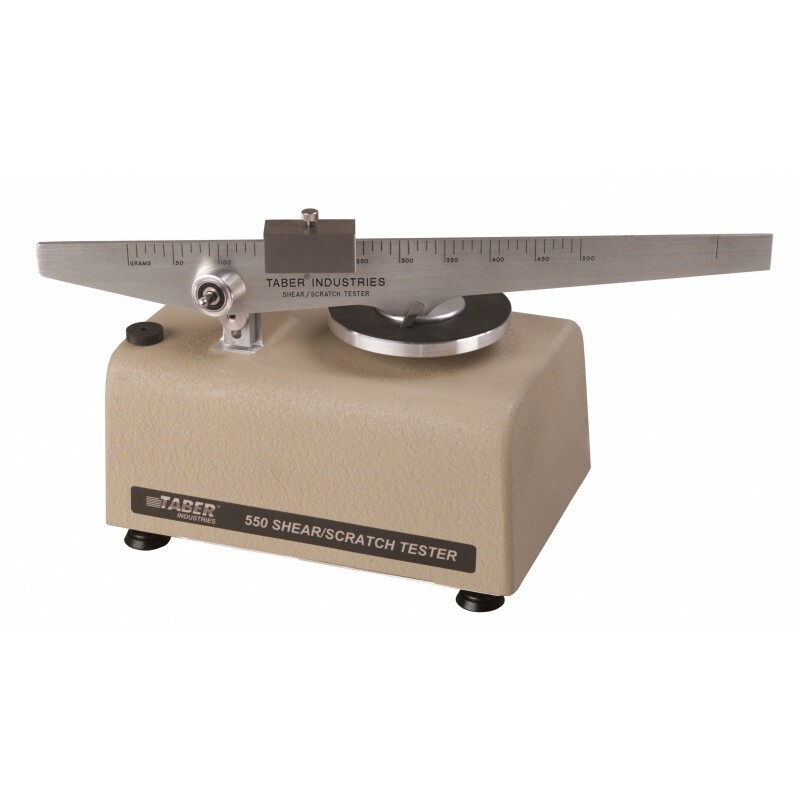 Measure the resistance or susceptibility to scratching or shearing on materials up to 1/2" thick. A motor driven turntable ensures a constant speed of 0.6 rpm, and a sliding weight provides 0 - 1000g load. 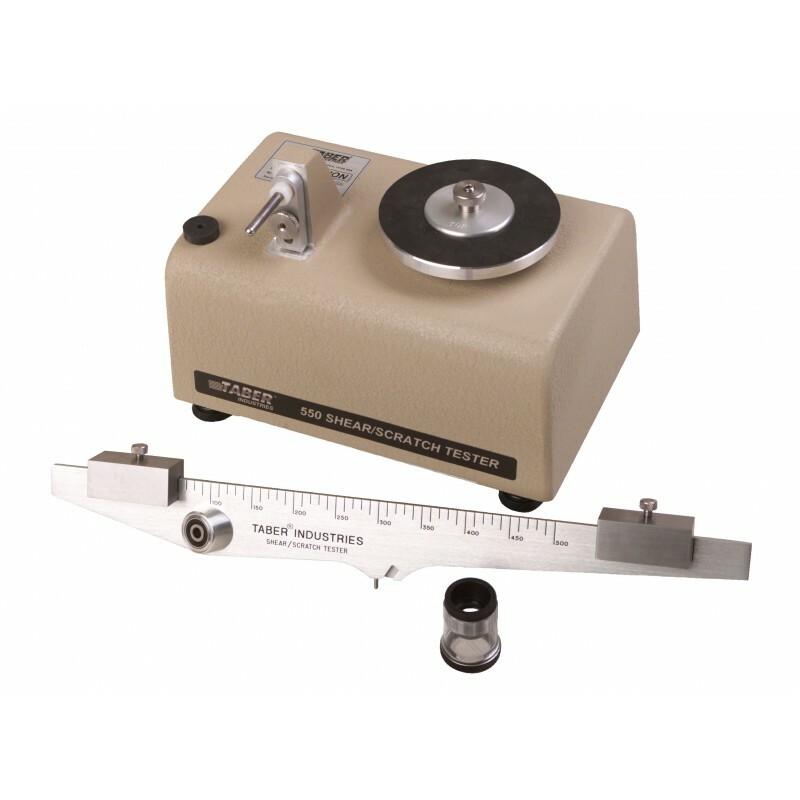 Includes: scale beam with calibrated weights (2); protective case for scale beam; S-20 contour shear tool (p/n 121017); model 139-55 conical diamond tool (p/n 121006); 10x measuring magnifier; spirit level; hex wrench. The Shear / Scratch Tester allows you to evaluate resistance to shearing, scratching, gouging, marring, scraping and engraving on a variety of flat, rigid specimens. It may also be used to test the relative homogeneity of materials, the adhesive qualities of protective coatings and the effects of age on similar materials.